So what is so great about Python? Python is a very powerful multipurpose programming language, yet it is very easy to learn. It is open source and widely used. Python has a massive community and support base meaning any problems you encounter have most likely already been solved by someone else. Python is used for everything from System administration and Data Analysis to Artificial Intelligence. From building websites to Database development. Python is used extensively in Finance, Game and GUI development and everything in between. Companies such as Google, Quora, and Yahoo use Python. It has been used by NASA and The New York Stock Exchange. The vast popularity and diverse uses for Python means it’s programming skills are in high demand. But I don’t want to be a full time programmer..
You don’t have to be a professional programmer to benefit from python. You can start utilizing Python to solve everyday problems almost immediately. The practical skills you learn can help you automate a lot of your daily tasks. Python can search huge documents and parse particular information. For example, suppose your job required you to parse all phone numbers or email address from a document and put it in a spread sheet. Instead of doing this by had you could write a quick program to do it. This will free you up from the routine mind-numbing work. This is just one of the many examples of how Python can help you in your daily life, even if you have no intention of ever becoming a full-time computer programmer. 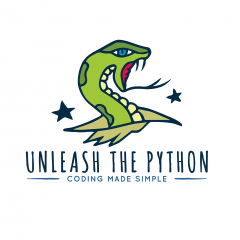 At unleashthepython.com we are in the process of building up our information base and resources. Our goal is to eventually be the first port of call for anyone interested in learning the Python programming language.